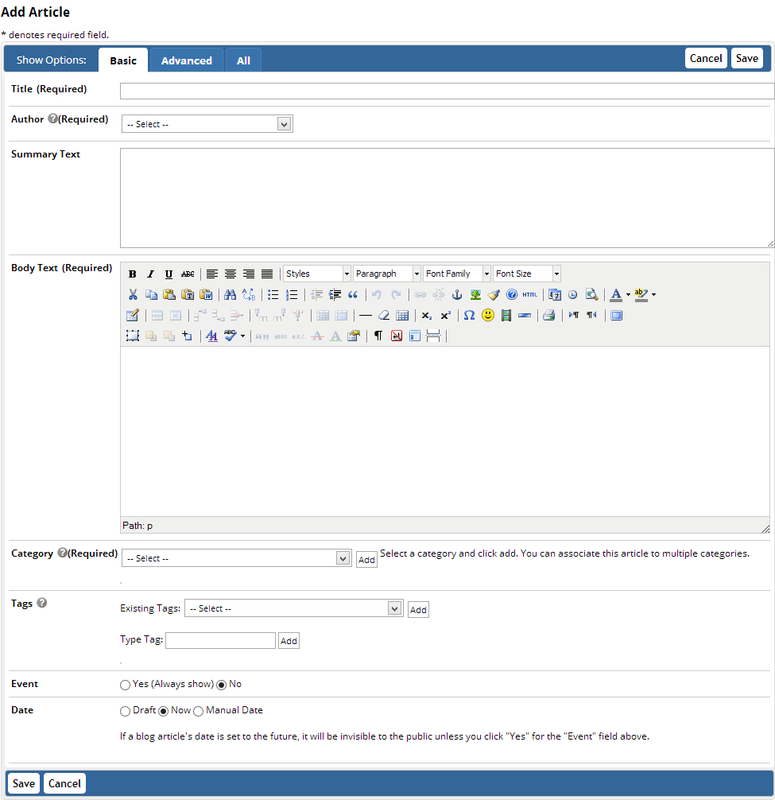 Jetendo CMS admin forms now separate the advanced and basic fields into separate tabs to improve the user experience. This makes the default edit view for most forms much shorter now. New users will be able to get their tasks done more quickly without needing to understand the full feature set that Jetendo CMS offers. 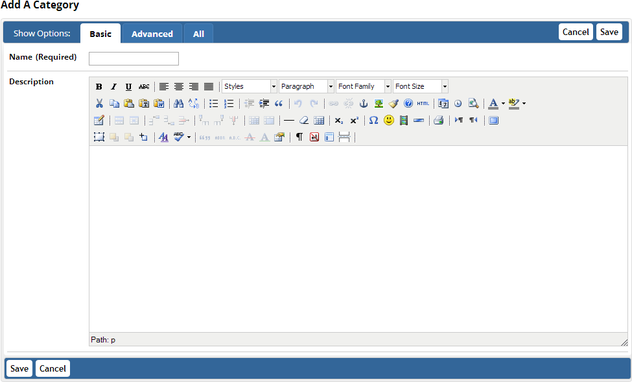 Power users can still use the "All" tab to quickly get advanced changes done. I also added an option for permanent cookie storage of the tab you select on each form independently. This means whether you are a power user or a basic user, you will get to the features you need more quickly. I built this code as a reusable CFC component with a very simple public API. This makes it very simple to add to new forms and it can be used for other kinds of multi-panel interfaces with some more options. All of the Jetendo CMS features that have advanced features now utilize the new tab feature including pages, members, slideshows, rentals and the blog. There is also a save / cancel button at the bottom too and I improved some of the other CSS styles to improve readability. Check out the screenshots below showing an example of what this looks like for horizontal and vertical menus as well some actual Jetendo CMS forms.